We are located in the Bordentown Commons Professional Center on Route 528. From Trenton: Travel south on Route 206 from White Horse Circle three miles to the light at the Exxon station. Turn right at the jug handle and cross Rt. 206/130. Bordentown Commons Professional Center is 1/2 mile on the left. From Hightstown: Take Route 130 south toward Bordentown. When 130 merges with 206, proceed 1/4 mile to the light at the Exxon station. Turn right at the jug handle and cross Rt. 206/130. 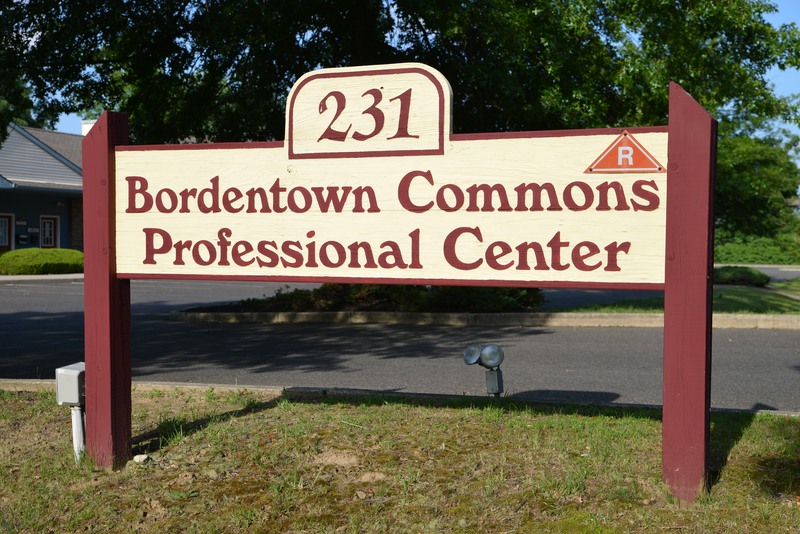 Bordentown Commons Professional Center is 1/2 mile on the left. From Burlington: Fort Dix and points south – travel north on Route 130 or 206 until the two merge. Turn right at the first light after the merge (just before Exxon station). Bordentown Commons Professional Center is 1/2 mile on the left.